The Jubilee Park (Parc du Cinquantenaire), between Schuman and Mérode stations, is another museum hotspot. It is home to the Museum of Art and History, Army Museum and Autoworld Museum. On and around the Grand Place, you will find museums typically associated with the traditional image of Belgium, such as the Brussels City Museum (where are displayed Manneken Pis' costumes) in the King's House opposite the Town Hall, the Museum of Cocoa & Chocolate, the Museum of Belgian brewers and the Brussels City's Costume & Lace Museum, among others. There are two noteworthy museums in the Leopold Park (behind the European Parliament) : the Antoine Wiertz Museum (part of the Royal Museums of Fine Arts) and the Royal Belgian Institute of Natural Sciences. 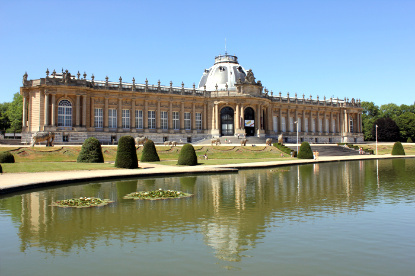 Unusual museums include the Belgian Centre of Comic Strip Art (near Brussels-Congrès Station) and the Royal Museum for Central Africa (in the suburb of Tervuren). Architecture buffs will be delighted by the former residences of the Van Buuren family (in Uccle) and art-nouveau architect Victor Horta (in Saint-Gilles), as well as the former Old England Department Store, also in art-nouveau, next to Place Royale. Another private house worth mentioning is the Charlier Museum, a classical stately home featuring historical paintings, sculptures, tapestries, silverware and furniture. It is located between Madou and Arts & Loi stations. 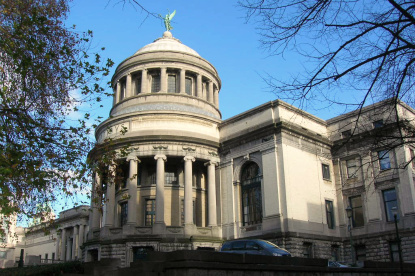 For an extensive listing of museums, try our Directory or Museums in Brussels. Brussels, as the capital of Belgium and Europe, has its fair share of festivals and events. There are unfortunately too many too list here. Let's note, for instance, the Brussels Arts Festival (held for three weeks in May), the Brussels Jazz Marathon (last weekend of May), and the Eu'ritmix (in August). Brussels hosts no less than 11 film festivals, including the European Film Festival of Brussels, the International Festival of Fantastic Film, the Festival of Cartoons and Animated Films, and the Short Film Festival of Brussels. 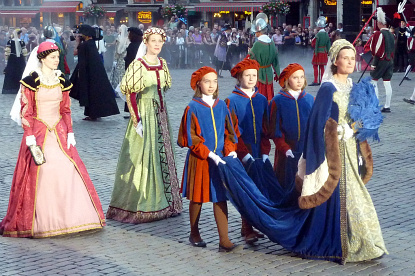 The most famous historical festival is the Ommegang, held every year for 2 days in early July in the streets around the Grand Place. It originated in 1348 in the Sablon neighbourhood, and was more famously organised in honour of Emperor Charles V of Habsburg in 1549. 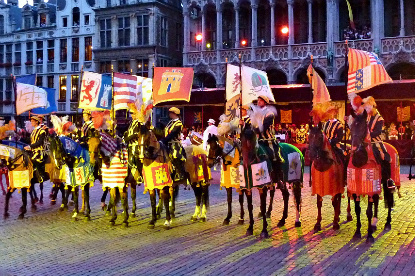 Only held exceptionally for the following centuries (for instance, upon the visit of Napoleon in Brussels), the Ommegang was revived in 1930 and has been an annual event ever since.